A Garage Door Opener Leads to Better Marriage? 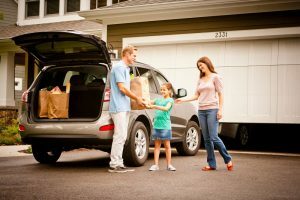 Okay, so you may think it is a tad dramatic to say that a simple garage door opener can do something to improve a marriage, but in this case, it is true! Have you ever been annoyed with your significant other, whether they are your husband or your wife, for leaving the garage door wide open? You tell them, remind them, and yet every time you leave, you get a good bit away before realizing that it is open and have to go back. This always seems to be the case when you are rushing or in any kind of a hurry, doesn’t it? Well if you agree, then it may make you happy to know that your marriage and arguments can finally be saved and stopped. This can all happen with a wi-fi garage door opener installation. There are a lot of different options for this with different brands such as Chamberlain, Clopay, and more. Open Your Garage Door & More With An App! These garage door openers have built-in Wifi, which means you can operate it with your smartphone with ease. This will give you a new level of confidence and security for your home. You can use a simple app from your smartphone to determine if your garage door is open or closed and in seconds feel safer knowing that your home is secured. You can even get the length of time that your garage door has been closed just by glancing at your phone! So, if you are like me and my spouse, you won’t need to circle back and check if your garage door is closed with this app, it will let you know without checking in person. This can be a useful tool if you have children, so you will know when they are coming and going too! Link Up & Back Up! Another benefit to having a smart garage door is that it can be linked to your other smart devices such as Nest Cam, Xfinity Home, Nest Thermostat, and Wink, so integration with these garage doors is always simple and seamless. It is also quieter due to the steel reinforced belt drive that is equipped on these doors, so no more waking up when the spouse leaves before you. If that doesn’t impress you, these doors are also equipped with a battery backup to continue working when the power isn’t. So no matter what you will be able to get your garage door open, it can also be opened manually if needed, but with the backup, you may not need to! This is great if you often lose power, or just like the extra security of having the option. So if you want the option not to need a key for your garage door and still have the safety, this may be the option for you! This is not a do it yourself project though, so you may want to look into hiring a professional for this task. 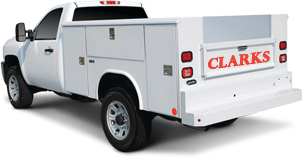 If you are looking for a garage door service in Los Angeles, then look no further than Clarks Garage Door & Gate Repair. We offer the best service at a low price that is always custom to each of our customer’s needs. So if you are looking for a new Wifi operated garage door opener to add that extra convenience to your life, call Clarks Garage Door & Gate Repair at (877) 622-8183 today for a free quote!